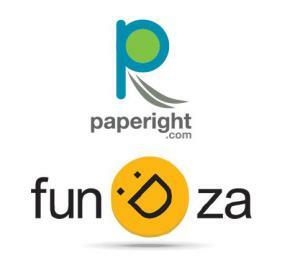 Paperight is excited to announce its partnership with the FunDza Literacy Trust in bringing affordable, exciting educational material to learners and teachers across South Africa. FunDza’s aim is to boost literacy levels among teens and young adults by making great relevant content available in book format as well as via cellphones and social media. In this way, FunDza encourages and facilitates reading for pleasure and building communities of young readers. The stories FunDza commissions are exciting and take place in familiar South African settings, dealing with many of the issues that teens face on a daily basis. The chapters are short, understandable, and loaded with twists and cliffhangers to keep readers wanting more. The books are written specifically for the low-income youth market. Already, through its various mobile channels, FunDza is reaching thousands of young people, promoting reading as a daily pleasure and leisure activity. The deal with Paperight takes this a step further. Readers will now be able to print, keep and share FunDza’s short stories in paper format. In addition, schools can print out copies of the stories for use in the classroom. FunDza is also creating teacher resources to accompany the stories so that they can be used effectively in a learning environment to further literacy development and language acquisition. “From our early feedback, we see that by making relevant reading material accessible to young people, we can start to build a culture of reading,” Hardie adds. This new deal with Paperight will enable young people to have access to affordable print copies of FunDza’s short story titles anywhere in South Africa, as well as allowing schools and teachers to access new, relevant literature for use in the classroom. Next Next post: Paperight 1.0 goes live!